The Hummer Limousine is one of those limo for when nothing else will do but the exotic. 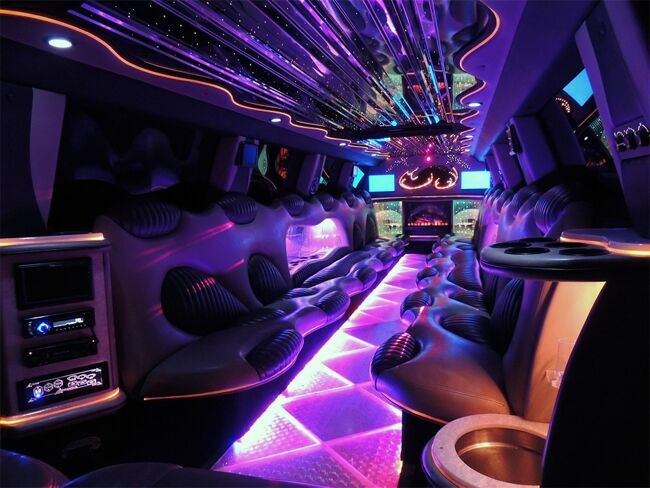 Pull up in the H2 Hummer Limo and you sure are to turn heads and become the center of attention. If you need to attend Prom night, a Bachelor party, Bachelorette party, or simply just having a night out on the town and you need to do it in style then look no further. This exotic hummer limo will get you there and back while accentuating your personality as a person who deserve VIP treatment. The H2 Hummer is the hottest limousine to rent within the SUV class. This limousine attracts major attention than any other car to roll down the street. The H2 Hummer can accommodate up to 20 passengers and is the perfect limousine for Bachelor/Bachelorette parties,weddings, proms, night on the towns and sporting events. Common features for the H2 are Neon Lights / Fiber Optic Lights / Laser Show / Stereo w / CD Player / DVD player / 7 Flat Screen Televisions Wet Bar.